Find the best Spanish teachers for kids or adult tutoring in Atherton, and book your private lessons today. Check out some of our most popular teachers near Atherton, CA including San Francisco, San Jose, Sunnyvale, Oakland and Palo Alto. I have been teaching Spanish since 2008 and have served as a Spanish interpreter at a hospital. I learned to speak fluently while living with a Spanish family and attending a Spanish high school for one year. I hold a minor in Spanish as well as a Bachelor of Arts in French.I hold a Bachelors in French and have been teaching since 2009. I also spent a year attending a French university and lived with a local family. I specialize in dialect coaching, but I love working with all levels! Whether your goals are to learn the basics before a vacation or to ace your next test, I can help! With degrees in French, Spanish and Communication, I am well experienced in the language learning process and love to help others take their next steps, wherever they may be. I've lived and studied abroad in Spain and France, for a year each, allowing me to bring valuable context to our lessons. Morgan is a great teacher. If you want to learn Spanish, I highly recommend that you select Morgan as your teacher. Morgan is an excellent instructor. He's given me the freedom in our lessons to choose topics that keep me interested and has used those topics to further my understanding of the language. Morgan seems to have a broad understanding of learning in general and applies his framework very well to our lessons. I'm basically cramming for an upcoming trip and Morgan is crafting our lessons to get me where I need to be to survive. Education is one of the most valuable things you can acquire. Knowledge stays with you wherever you go and you can use it in the less unexpected situation. I was born and raise on Peru, South America. Spanish is my native language. I also hold a Bachelor's on Biological Science from Roosevelt University with a minor in Chemistry. I have take classes like Molecular Biology, Anatomy and Physiology, Biochemistry, Neuroscience. Also General and Organic Chemistry. General Physics and Math up to Calculus. I offer tutoring on Biology, General Chemistry and Math. Being bilingual have been a great advantage for me, especially at work. That's why I offer Spanish lessons and tutoring, from beginning to advance levels. It's amazing how our brain can absorb information in different ways. We can be learning something unintentionally. So whichever your circumstances are we should be open to learn or improve our skills every day. Remember, the process of learning never ends. I was born and raise on Peru, South America. My interest in music began when I was 9 years old. I came to USA when I was 17 and started attending college. I have take several music classes at college level like Music Theory, Music History, Piano, Voice and Ensemble. I finished my Associates degree in Fine Arts in Music in 2010. I have 5 years of experience teaching music to students of all ages. I teach guitar and piano and I use different methods according to the student's needs. I also hold 2 recitals a year so students can show their hard work. try. I have take classes like Molecular Biology, Anatomy and Physiology, Biochemistry, Neuroscience. Also General and Organic Chemistry. General Physics and Math up to Calculus. I offer tutoring on Biology, General Chemistry and Math. Being bilingual have been a great advantage for me, especially at work. That's why I also offer Spanish lessons and tutoring, from beginning to advance levels. I am a Spanish instructor from Argentina with more than 15 years of experience teaching in Los Angeles. I teach all levels Spanish for travel, business or work. Hola! I am a Spanish tutor from Buenos Aires, Argentina, who has been teaching in Los Angeles for more than 15 years. I teach all levels and always try to make it fun! Based on your main interest I will customize my classes for you to learn or improve your skills. Looking forward to meeting you and working with you! Silvia. 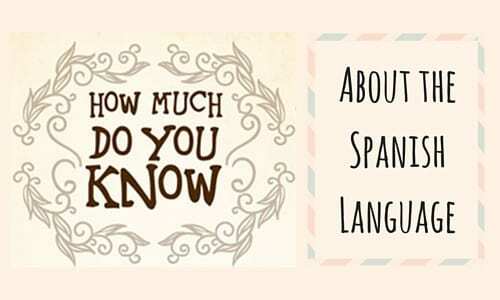 When it comes to learning a new language it is also imperative to include a cultural perspective and have knowledge of the different Spanish speaking countries. I was born and raised in Puerto Rico until the age of 21. I went to school in Puerto Rico from kindergarten all the way up to the twelve grade. I started college in Puerto Rico but I decided to move to the United States. Hola. No pienso que sea necesario escribir mucho para tratar de impresionar a otros u otras. Hi. I do not think it is necessary to write a lot about you in order to try to impress folks. Can't find a teacher in Atherton, CA?